The Samsung Rewards program in India has been categorised into Silver, Gold and Platinum tiers and a user will be upgraded on the number of transactions and also earn higher based upon the tier they are in. Both, Samsung Pay and Samsung Pay Mini are supported by Samsung Rewards. Samsung announced the new Rewards program during the launch of its Galaxy S9 series smartphones in India and has now announced its availability in India. Samsung Pay users will now get reward points whenever they purchase any product, which can be gathered and redeemed for Samsung products and partner vouchers. The company says that Samsung Pay users will earn reward points on credit and debit card transactions, government-backed BHIM-UPI, digital wallets, bill payments and recharges as well. "Accelerated Rewards and Bonus points" will also be made available to users via campaigns. Samsung, India’s No. 1 and most trusted consumer electronics and mobile phones brand, today rolled out Samsung Rewards, an exciting new rewards program for Samsung Pay users. To use Samsung Pay, consumers have to just tap the phone on a regular card reader and make payments. 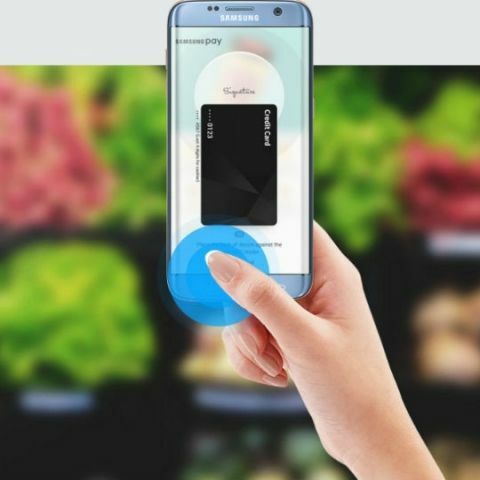 Samsung Pay works with three levels of security—fingerprint authentication, card tokenization and Samsung’s defence-grade mobile security platform, Samsung KNOX. Every time users make a payment using Samsung Pay, they will earn reward points irrespective of where they spend and how they spend. Accumulated reward points can be redeemed for a variety of Samsung products and partner vouchers. The points earned through Samsung Rewards are over and above the Reward or Loyalty points users earn from credit and debit card spends, merchants, retailers, existing discounts and cashback offers that might be running at the time. Samsung Pay users will earn reward points on credit and debit card transactions, government-backed BHIM-UPI, digital wallets, bill payments and recharges. To incentivise users, Samsung Rewards will also offer users, the opportunity to earn Accelerated Rewards and Bonus points through various campaigns from time to time. Samsung Rewards program in India is divided into 3 tiers, namely – Silver, Gold and Platinum, with Platinum being the highest earning tier. Users will automatically move up the tiers basis the transactions done on Samsung Pay. Simply put, higher the transactions, higher the earning. Samsung Rewards in India is supported by both – Samsung Pay and Samsung Pay Mini. To avail these benefits and rewards, users will need to update to the latest version of the Samsung Pay application and register for Samsung Rewards. The update will also allow Samsung Pay users to do their mobile prepaid recharges in addition to 55+ billers already available as a part of bill payments. Best phone in Samsung Models.